Our lives are becoming increasingly global, whether personally or in our businesses. However, this comes with complexity and uncertainty for those navigating new markets or jurisdictions. 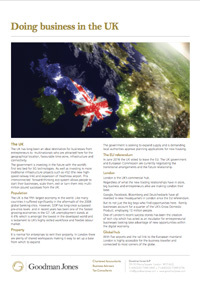 We help businesses, both UK and overseas, to review their strategic options, set up and operations. We also have specialist expertise in advising individuals and families with global wealth. In addition to our own expertise in London, we can call on GMN International, our worldwide association of legally independent accounting firms. As well as being proud to be the UK representative firm of GMN International, we are also members of the UK Advisory Network. Set up by Department for International Trade (DIT) to provide an accessible route to high quality and trusted professional support, for foreign investors setting up in the UK. The Network consists of business services providers across a range of disciplines which provide advice on all aspects of establishing your business in the UK. Members undergo a robust application process to join the Network.